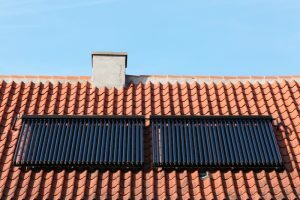 What’s the Deal with Solar Water Heaters? With all the efforts of switching to solar energy, are you at all surprised to hear that even water heaters are using solar energy? Well, it turns out that solar water heaters are nothing new. The first solar heater was invented around 200 BCE in Rome. It wasn’t until the late 1800s that solar water heaters made a reappearance, and now we’re using them again. Of course, the solar water heaters we use now are built with modern technology, and they make for excellent alternatives to gas or electric heaters. We’ll go into more depth below to find out if a solar water heater makes sense for your needs. Posted in Water Heaters | Comments Off on What’s the Deal with Solar Water Heaters?